Formed back in 2014, The Pylons have all been close friends since their time at school together. 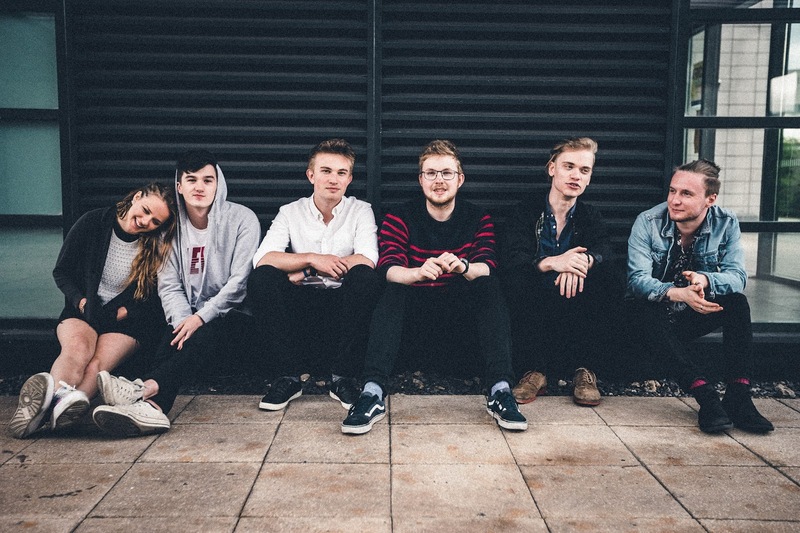 The Lincoln-based band quickly gained attention in their local scene and wasn't long before they were booked for Derbyshire’s Y NOT Festival and two years later playing Glastonbury’s BBC Introducing Stage. Following The Pylon’s debut EP release, ‘Pictures of the Past’ which garnered over 1,000,000 Spotify streams and also earned airtime on both BBC Radio 1 and BBC 6 Music. Bouncing into 2018, the band release ’Just Beyond Home’ - the first song to be released by The Pylons since taking a year out to concentrate on writing fresh material. Emily Bridgewood joins the band for this wondrous earworm with warming and powerful vocal lead. 'Just Beyond Home' ventures a wonderful progression and styles anthemic instrumentation, resembling as a symbol of the band's friendship and compassion. Galloping drums and gliding guitar riffs the track’s lyrics are an ode to lead guitarist Alex’s childhood home in the leafy Lincolnshire countryside. These surroundings now act as the central hub for the band’s creativity augmenting the already quintessential indie rock nature of their music. If you don't hear believe our praises for their music, leading Scouting for Girls’ frontman Roy Stride also stated their music as ”warm life-affirming indie music. Beautifully crafted melodies with heartfelt lyrics and engaging vocal harmonies”.